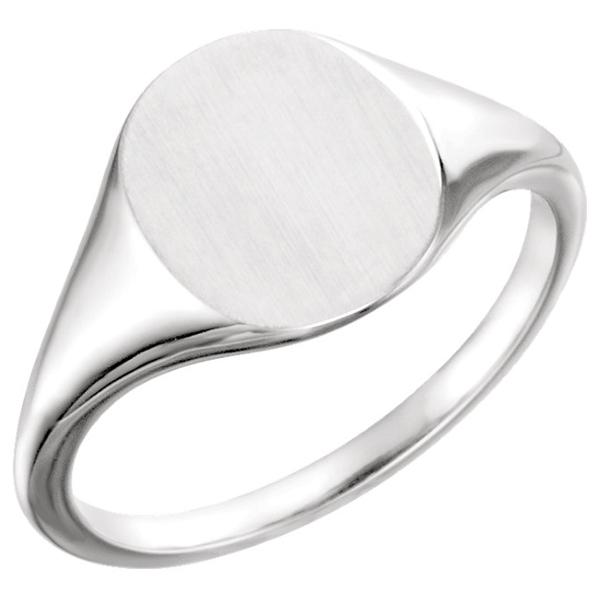 This simplistic, yet completely stunning 14K white gold polished and satin signet ring from Apples of Gold Jewelry combines two different finishes on one ring to create an original and exciting look. The band and sides of this ring are highly polished, while the face of the ring, which measures 11mm by 9mm in size, is a satin brush finish. The ring can be customized with the optional engraving option, which allows you to engrave one single letter initial or a three letter monogram on the top of the ring. We guarantee our 14K White Gold Polished and Satin Signet Ring to be high quality, authentic jewelry, as described above.